It’s hard to believe Gaybo Howard was taken from us one year ago today. His family and friends are gathering for an anniversary mass in Stamullen this evening to celebrate his life and remember him. One year ago today Irish cycling stalwart Gaybo Howard was very sadly killed in an accident on a farm in his home village of Stamullen, Co Meath. Gaybo’s family were devastated at such a vibrant and much-loved man being taken from them so suddenly. And of course the Irish cycling community, and Gaybo’s friends from across the country in the many parts of his life, deeply felt the loss of a man who brought so much fun and energy to everything he did. In this short tribute Kay Howard, Gaybo’s wife and partner in everything he did, and his wider family remember him one year on. There is also an Anniversary Mass for him this evening, Saturday February 9th, at 6pm in Stamullen. It’s hard to believe that our beloved Gaybo was taken from all of us just a year ago. Everybody and everything here in Stamullen keeps him very close to us; stories, photos, memories and expressions of his kind nature. He was loved so much by his adoring family who are just heart-broken. 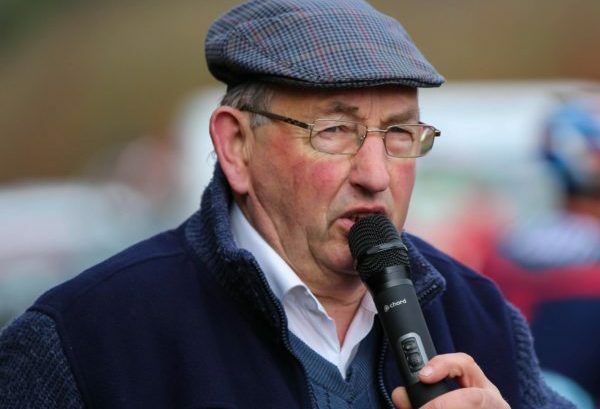 And he is sorely missed by his close friends and a massive circle of cycling friends, horse racing friends and the farming community from around the country. The Stamullen community is a much poorer place without him; missing his good deeds, humour and wit as is the sport of cycling in Ireland. He was always on hand to help those in need. He was a terrific organiser of bike races; performing MC duties and organising charity cycles and fundraising events for just about every cause. He willingly did all of these things at a drop of a hat, as he loved to help when called upon. I spent a lot of time wondering if he could have been (possibly) the longest serving individual in the sport of cycling in this country. All through those decades, he never once took a break from it. He started his racing career way back in 1961, in St Patrick’s CC, and since then never missed any weekend races, including racing himself through the 1960s, 70s, or 80s. Then when he could no longer keep up the pace in races, he went about setting up Stamullen Road Club. And of course he was still stuck in running the club up until the time he left us. He also spent decades travelling with Rás Tailteann providing neutral service; a job he enjoyed immensely. This is only a brief summary of his involvement in the sport. But it was a sport that he had an immeasurable passion for and endeared him to so many people. Gaybo was one in a billion. He’s gone but never forgotten.